The holidays are a wonderful time for gathering with friends and family, but it can also be a hectic time. The holidays are a wonderful time for gathering with friends and family, but it can also be a hectic time. To make sure that all of your holiday parties and dinners go smoothly, you can start today by getting your dining room ready for any occasion. With a large selection of dining room furniture at Star Furniture in Morgantown and Clarksburg, there are perfect options for every home! To prepare to host Thanksgiving dinner or meals with extended family, you will want a dining table that is big enough to fit everyone! A large farmhouse style table is a great way to fit everyone comfortably in the same place. And a great tip is to switch out dining chairs on one side of the table for a dining room bench. This will give you the option to add additional spots, especially for children! And if you are inviting more than ten or twelve people, chances are you won't be able to fit everyone around a single table. If that's the case, Star Furniture can help you pick out dining stools to fit around a kitchen island or counter height kitchen table. There are very stylish pub style tables to fit in breakfast nooks, or even a condo or apartment! No matter the size of your home, Star Furniture in Morgantown and Clarksburg has a beautiful dining room option! For a casual party, the dining room is a great place to stage food and drinks so that your guests can access every dish. Simply move the dining room chairs to other rooms, such as setting them up as extra seating the living room. This will ensure that guests can walk around the dining table easily. And you can make the event extra festive by incorporating seasonal table decor and napkins around the kitchen and dining room! Also, the key to hosting any party is to let your guests help out! If someone asks if they can bring something, let them! Have a couple of ideas prepared such as fruit or veggie trays or a bottle of wine. Suggest something that is easy to transport and doesn't need to be served straight out of the oven. Or if you are planning a fun activity like a gingerbread house decorating party, give each guest something to bring to share with the group. That way you don't have to provide all of the candy and frosting yourself! If cooking isn't your favorite thing to do, we suggest a fun cocktail party with games and Christmas carols! Just set out some appetizers and drinks on the kitchen counter or island and reserve the dining table for board games! Adding a Secret Santa or White Elephant gift exchange is another great idea for creating long-lasting memories. 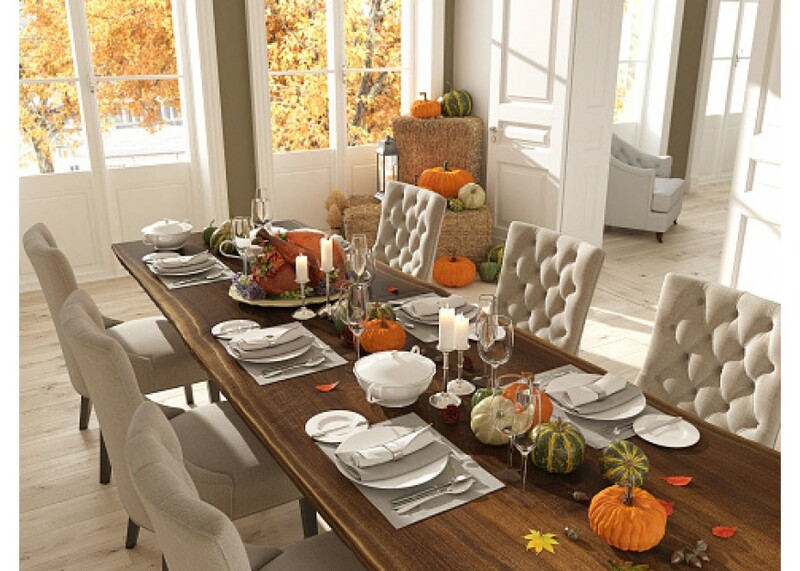 For stress-free Holiday entertaining, come to Star Furniture in Morgantown, Clarksburg, Whitehall, and Elkins! There are dining room table and chair sets of all sizes and styles, plus you can mix and match designs to create a unique look that is all your own! Your guests will love our comfortable chairs, and you'll love our prices! For all your home needs this holiday season, come to Star Furniture in West Virginia!